Rockwell Automation Board of Directors Unanimously Rejects Unsolicited Proposal from Emerson. Rockwell has now declined Emerson’s bid to purchase the Milwaukee-based company three times. But what is not often discussed is the reason behind this decision. Let’s use one of Emerson’s former acquisitions to evaluate the reason behind this. In January this year, Emerson sold its motors and drives division composed of both Leroy Somer and Control Techniques to Japanese headquartered Nidec Corporation. Since there is little comparison with Leroy Somer, a motor manufacturer, and Rockwell, a control solution provider, we will only discuss Control Techniques acquisition as a case example. Although Control Techniques predominantly supplied solutions within the process industries, the UK-based company also had a presence in the discrete sector; albeit not to the same level of Rockwell. To PTR, this begs the question, why did Emerson decide to sell its control business? Control Techniques’ discrete offering could have provided similar “hybrid” solutions to their customer base, which is a key part of the plan for the proposed acquisition, according to Emerson. One reason could be that Emerson felt better equipped with sourcing products from a fellow US-based supplier rather than a UK-based operation such as with Control Techniques. Another is that they did not feel the discrete product offering from Control Techniques was adequate for their growth objectives. Another reason could be that they wanted to free up cash for potential downturns or additional acquisitions. Whatever the reason, PTR believes that this decision plays a key role in Rockwell’s repeated offer declines to Emerson. 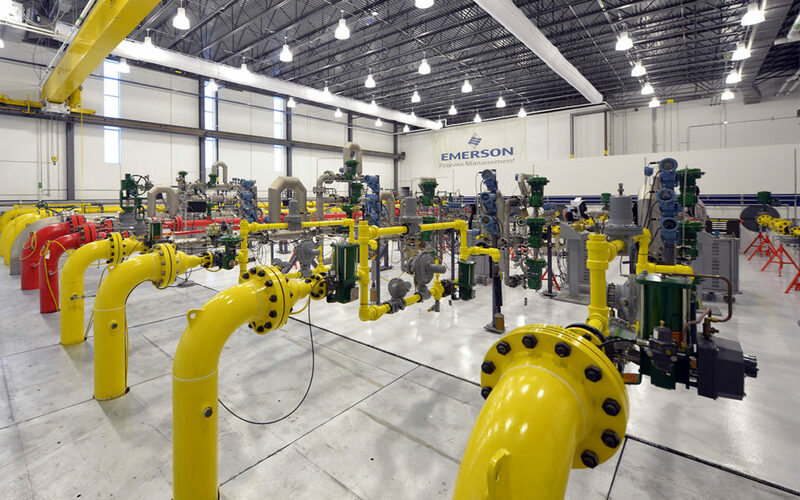 Even though Emerson is offering to rename the company, Emerson Rockwell, this is still a full acquisition; with only 3 of 13 board seats proposed to be awarded to Rockwell and 40% ownership. Rockwell has a significant amount of negotiating power here due to their strong market position and continued revenue earnings; Q4 grew by 8.4% YoY in 2017 compared to the previous year. And let’s not forget that this was an unsolicited bid from Emerson – Rockwell had no intentions of selling, but had even announced at Morgan Stanley 5th Annual Laguna Conference in September that they are looking to acquisitions themselves as avenues for growth. PTR believes that this will not be an acquisition or take-over by Emerson, but rather a merger of equals.